Discover a world of fascinating French towns, inspiring culture, wistful countryside and memorable cuisine while cruising in luxury between Arles and Lyon. Fly from the UK to Marseilles. On arrival, you will be met and transferred to your ship. 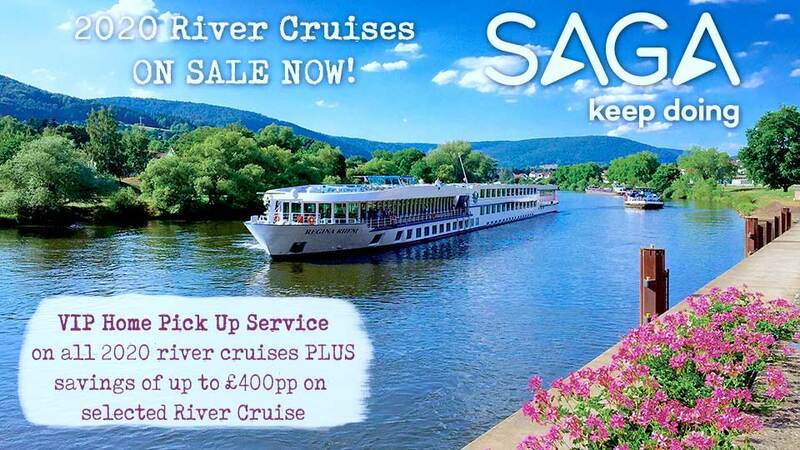 Board your luxurious river ship and enjoy a Welcome Reception with your fellow travellers. FREEDOM OF CHOICE: Head to Les Baux-de-Provence for a tour of the castle ruins. Then visit an olive mill and farm in Saint Rémy de Provence to discover the Provençal tradition of olive growing. Alternatively, enjoy a hike in Camargue National Reserve, or visit a ‘savon de Marseille’ soap factory. Enjoy a free afternoon to explore Arles. This evening, attend a special Captain’s Farewell Dinner. FREEDOM OF CHOICE: A local guide will take you on a discovery of Avignon, a city surrounded by impressive stone ramparts. Pay a visit to the Palace of the Popes, the world’s largest gothic palace which served as a fortress, a church and a residence to the Popes that once governed the Christian world. 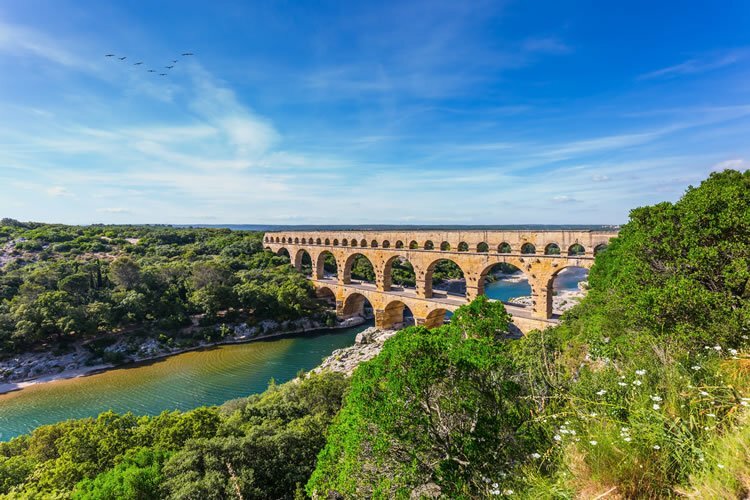 In the afternoon, travel to the Pont du Gard, a Roman aqueduct that stands 50 metres above the Gardon River. Otherwise, take in a round of golf or enjoy a French language lesson on board. Join a local truffle farmer and his dogs to sniff out, then taste the rare and prized truffles. Later, journey to the village of Grignan, surrounded by beautiful Provençal lavender fields and enveloped by high fortifications. SIGNATURE EXPERIENCE: Enjoy a tour of the incredible Grignan Castle, originally built in the 12th century. Here, you will delight in a Cocktail Reception and savour a tasting of regional produce. FREEDOM OF CHOICE: Tucked between the vine-covered hills of the Rhône Valley, Tournon sits on the banks of the Rhône opposite its twin town, Tain-l’Hermitage. Here, perhaps ride aboard the historic Ardèche Steam Train through the Ardèche Mountains. The scenery here in the Gorges du Doux region is spectacular, punctuated by rolling hills, forests and towering cliffs. Alternatively, stroll around Eden Park Garden, a botanic garden in the heart of Tournon that winds uphill in the grounds of the Couvent des Moins ses Cordeliers, an ancient convent. Make your way through the woodland landscapes and be rewarded with spectacular views. You may also choose to savour an onboard chocolate demonstration. Re-board your ship and cruise to Viviers. FREEDOM OF CHOICE: The charming town of Belleville, set on the glorious Saône River, is the ideal starting point for your discovery of the Beaujolais region today. Perhaps explore the picturesque natural area known as The Dombes, home to more than one thousand ponds. Visit a farm to taste local delights, then stop in the town of Châtillonsur-Chalaronne, where those who are feeling adventurous are able to sample the local specialty – frog legs. Alternatively, enjoy some time at leisure in the hilltop village of Oingt, then partake in a wine tasting at a family-owned winery where you’ll also learn about the history of wine-making in this intriguing region. 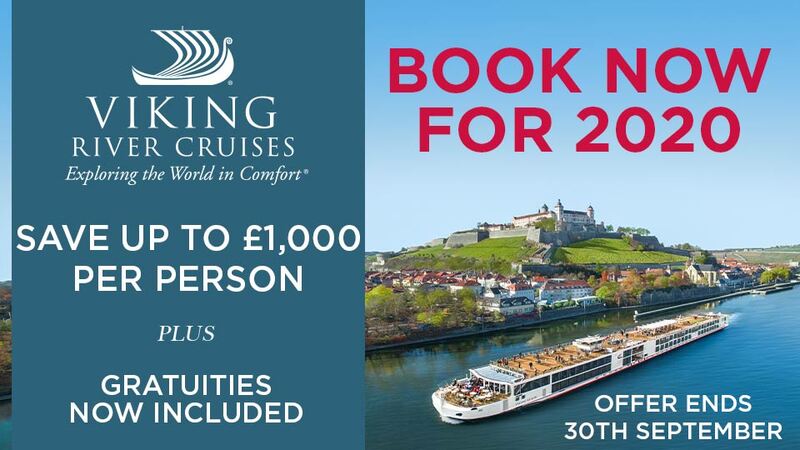 Rejoin your ship later and cruise to Vienne for some time at leisure. FREEDOM OF CHOICE: Discover Lyon, a dynamic French city shaped by the two rivers that run through its centre, the Rhône and the Saône. Perhaps learn about the city’s historic areas, much of which are World Heritage-listed, on a guided tour, then visit a silk workshop. Alternatively, learn why Lyon is considered the gastronomic centre of France on a culinary tour, visiting a fresh food market and enjoying tastings. Or, perhaps enjoy a guided bike ride. SIGNATURE EXPERIENCE: This evening, experience French cuisine at its finest during dinner at L’Abbaye de Collonges, a famous restaurant owned by acclaimed Michelin-starred French chef Paul Bocuse. In 1966, Paul Bocuse succeeded in buying back his great-grandparents’ old restaurant, restoring it to the Bocuse family name. Operating for more than 50 years, the main dining room ’La salle du Grand Limonaire’, features an organ equivalent of an 110-musician orchestra. Disembark your ship and transfer to the airport for your return flight to the UK.